Printing Services | Macomb County, Michigan | Climb New Heights LLC. 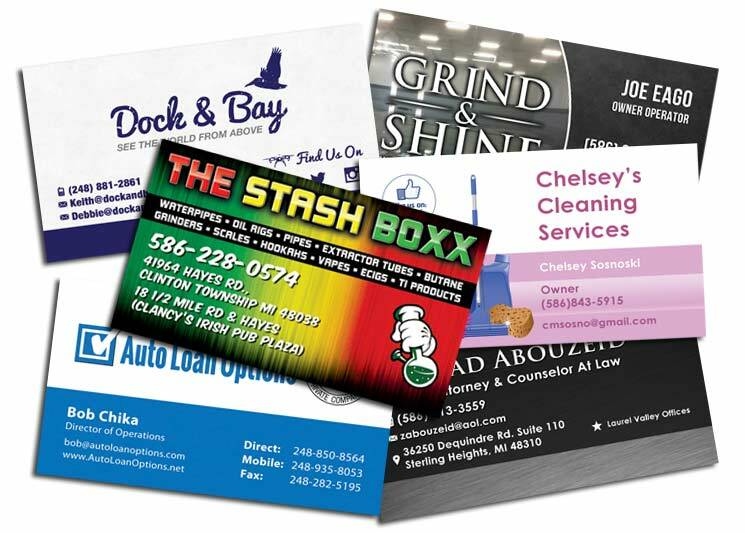 Use Our Professional Printing Services To Make An Impact On Your Customers! Our printing services can be vital to your business as a whole. As a business owner you certainly need business cards to hand out when you are networking at events. Banners can be extremely useful at trade shows so people can tell your booth apart from the others. Banners can also be used on your building to indicate your new grand opening or perhaps you are under new management! For landscapers, plumbers and re-modelers you can definitely benefit from sending your postcards directly to your potential customers homes. 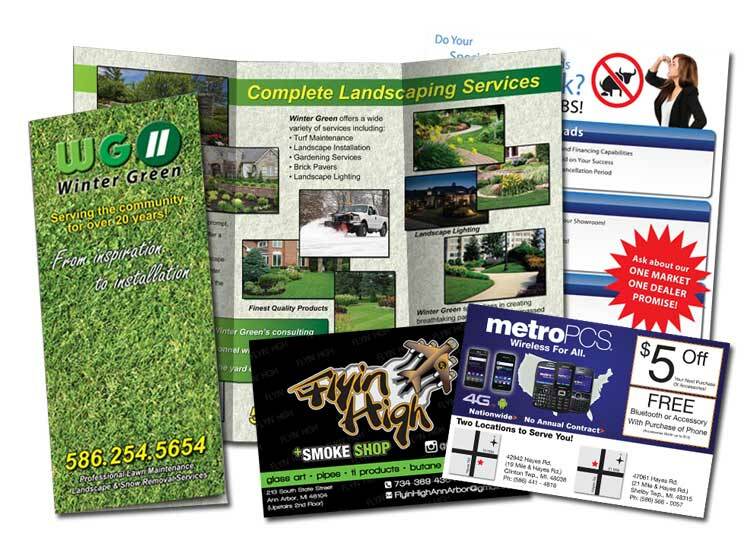 Check Out All Of The Printed Materials We Offer! Our business cards are printed on 14pt C2S stock. We offer free gloss coating available on either one or both sides. A FREE 30-minute professional design is included when you order! More info here! Available in 3-5 Business Days! We offer both flyers and postcard printing. Our postcards are printed on 14pt C2S stock with optional gloss coating. Our flyers are available in bi-fold, tri-fold, z-fold or no-fold. Our business cards are printed on 14pt C2S stock. We offer free gloss coating available on either one or both sides. A FREE 30-minute professional design is included when you order! 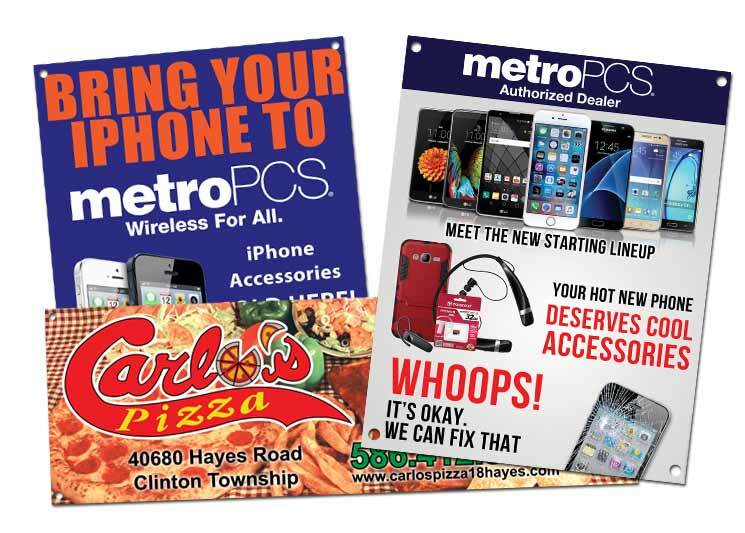 Our banners are extremely durable & come with grommets already installed. Banners printed in any size your heart desires with a variety of options to choose from! Call for info! Available in 1-2 Business Days! Our yard signs are full-color and can come in standard size (18″x24″) or any custom size (or shape) you can think of all the way up to 4’x8′! Yard signs are an extremely effective marketing tool! 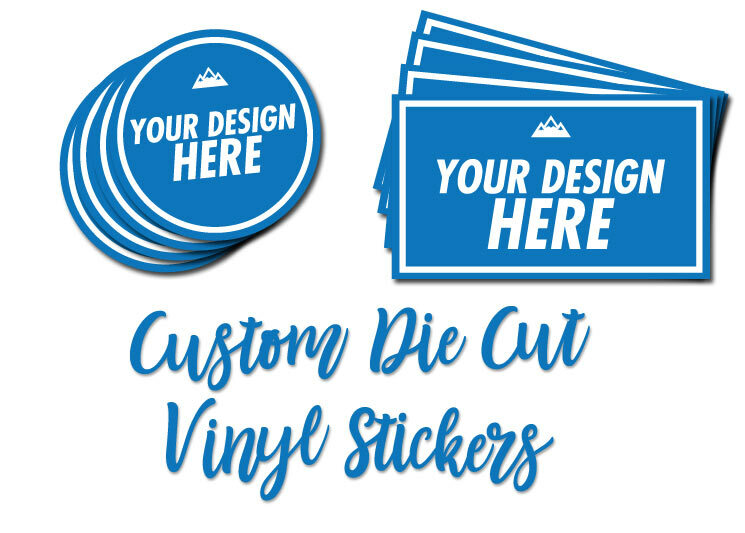 Vinyl Decal Printing & More! We offer both full color as well as die-cut vinyl stickers rated for 3-5 years in an outdoor application as well as vehicle magnets and so much more. Give us a call if there is anything you’re curious about! Custom T-shirt Printing Now Available! 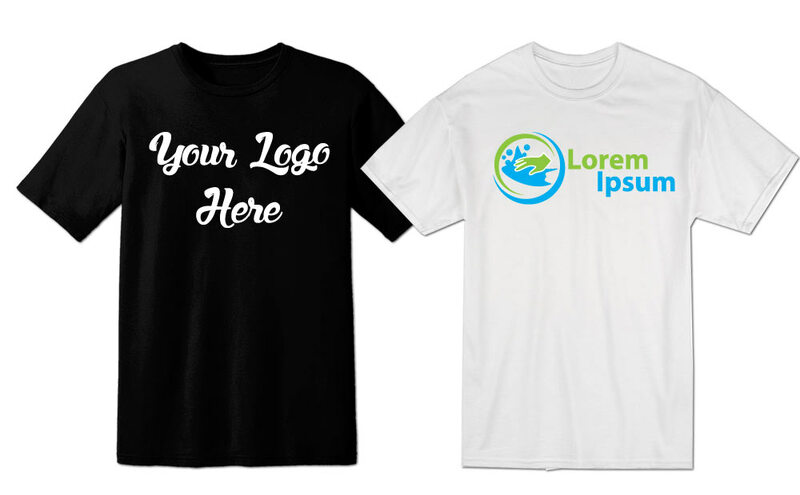 We offer custom t-shirt design and printing services. All of our t-shirts are created using heat transfer vinyl and our industrial t-shirt press. Many different color options available. We purchase the shirts or bring your own. Fast turn around because we own the equipment! Call for info! Our Professional Print Services Are The Perfect Way To Maximize Your Business Or Beautify Your Home! Our professional printing services will help your business look more professional. All of our products are available within 3-5 business days. However, many are available the very next day! 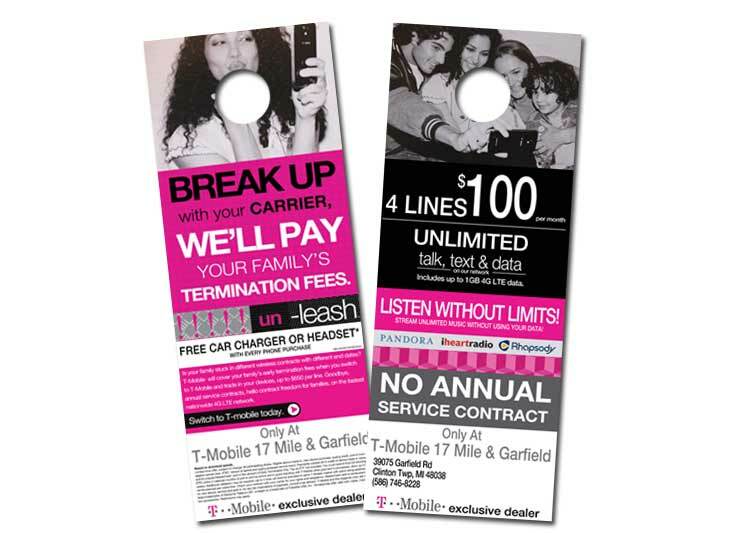 Take advantage of our printing services to make your home or car look awesome! 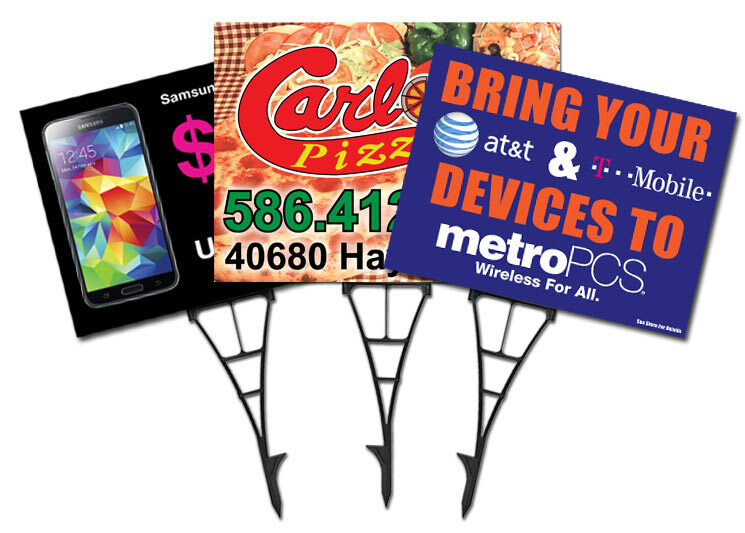 We offer custom banners, full color or die cut vinyl stickers, custom cardboard cutouts, etc. We have all the tools to help make your space your own!